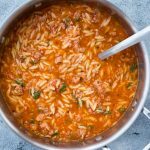 This One Pot Sausage Orzo Soup with Spicy Italian Sausage, Orzo Pasta with rich tomato flavour is delicious and takes only 20 minutes to make. 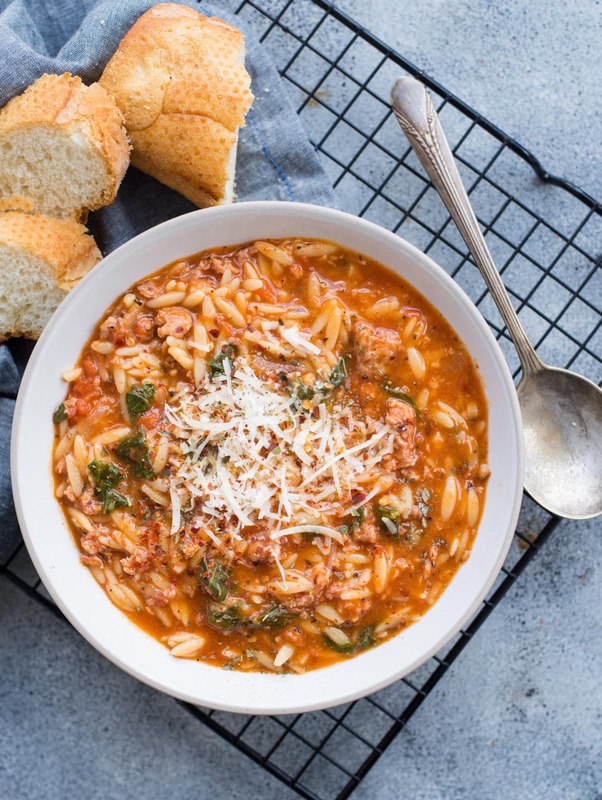 Delicious Italian Sausage Soup with Orzo is our new favourite. It has so much of flavour and texture in every spoonful of it. A loaf of crusty bread and a big bowl of this soup is definitely going to be a winter comfort food. 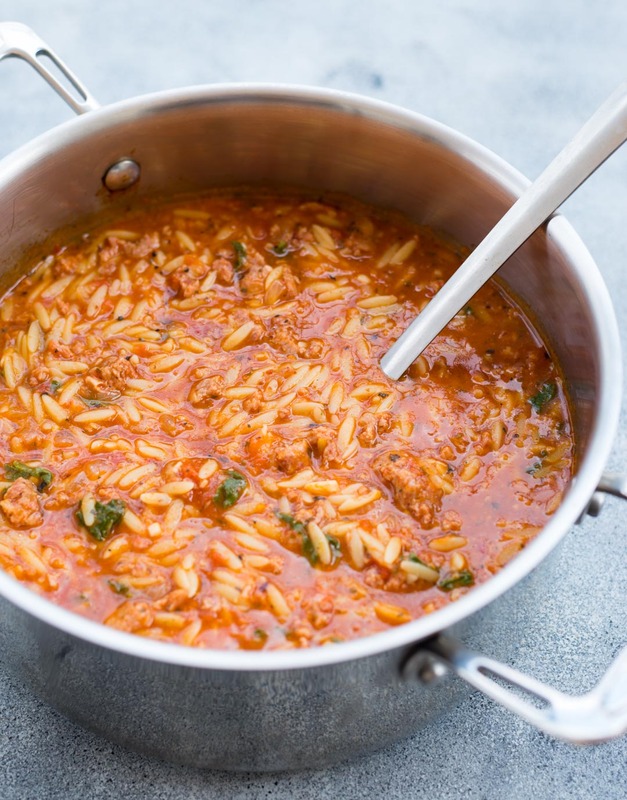 Refreshing tomato-based broth, spicy Italian Sausage, Orzo pasta and Spinach, this Soup is really very satisfying and filling. 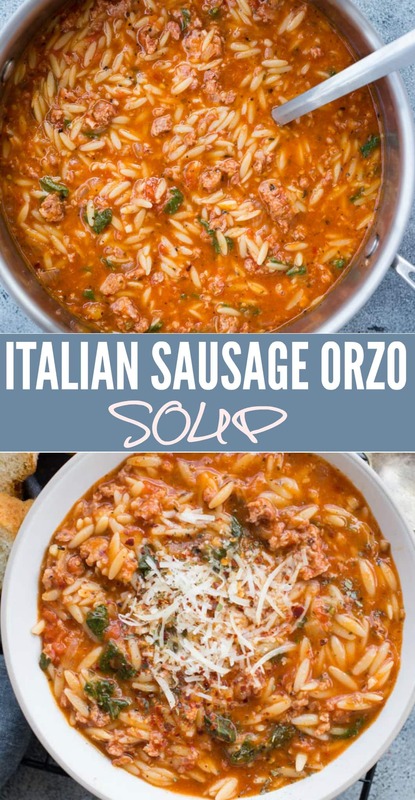 I am sure this Sausage Orzo soup will get you through the winter. Soup doesn’t have to be boring and bland. Soup can easily be made tasty and healthy at the same time. And it took me years to convince the same to my husband. And now he can happily have a bowl of soup for dinner. This Sausage Soup is already a household favourite. Tomato Soup is an all-time favourite and I make it very frequently. When the regular Tomato Soup gets an upgrade with spicy sausage and pasta, it is even better, isn’t it? My little one was very excited to see those cute little Orzo pasta and of course, there was a lot of cheese on the top for her. 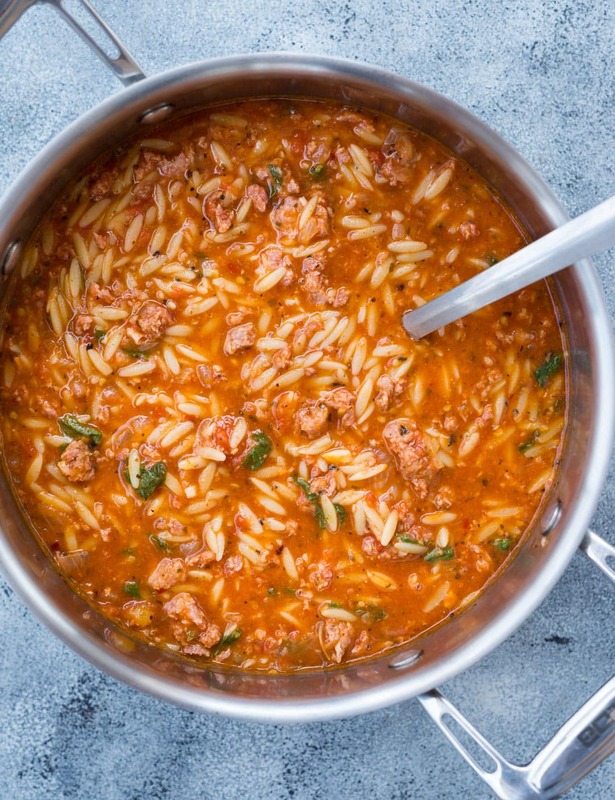 Making Sausage Orzo Soup is pretty easy and quick. It comes together in just 20 minutes and you need only one pot to make it. Start with caramelizing the Onion and garlic along in oil. Break sausage to small chunks and brown along with onion and garlic. Browning and caramelizing the sausage helps to release flavourful oil to the pan. Once the browning is done, just dump all the ingredients to the pan except Spinach and let it cook till the pasta is done. Then add the spinach and let it soften. Ta da!! it is done. But wait! What’s a comfort food without cheese or cream??? Well, you are not going to miss your favourite creamy Chicken soup because I have taken care of that. Add a couple of tablespoons of cream and a handful of parmesan cheese at the end before serving. While it is always easy and quick to make things on the stovetop, Slow cooking comes handy when you don’t want active involvement. 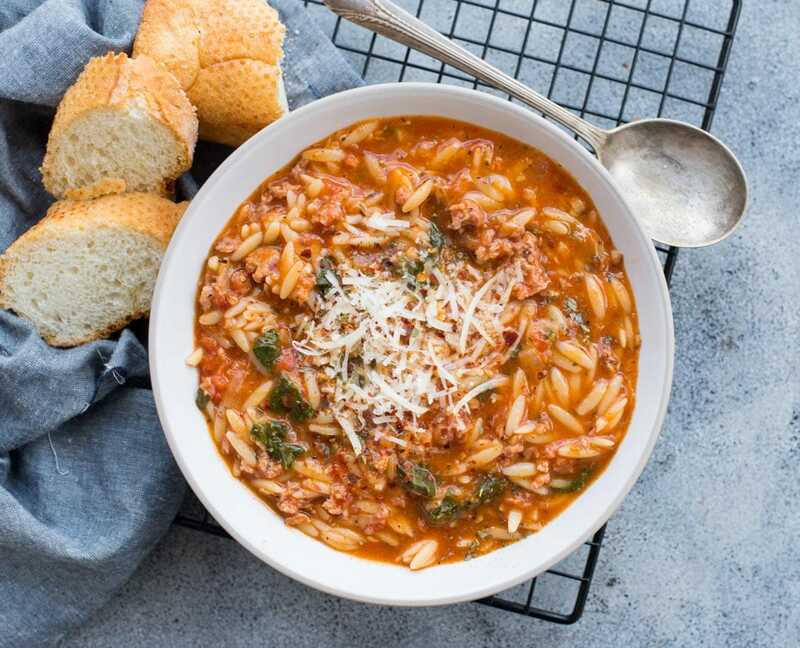 This Sausage Orzo Soup can easily be made in a crockpot. It can’t be a total dump and forget kind of recipe. Browning of Onion, garlic and sausage is an essential step to release all the flavours. So before adding all the ingredients to the slow cooker, it is important to brown in a pan. Once the meat is browned, add Onion, garlic, Sausage Mixture to the Crockpot along with rest of the ingredients (except Spinach, cream and cheese). Cook on low for 6 hours or high for 3 hours. 20 minutes before the cooking time ends, add spinach to the pot. after 10 minutes add cream and cheese to the pot. Heat Oil in a heavy bottom pan. Once Warm add chopped onion and garlic. Saute until the onion has softened and raw garlic smell is gone. Roughly break sausages to small chunks. Add to the pot. Saute for 5-6 minutes until they are browned and aromatic. Deglaze the pot by adding stocks. Scarp the bottom of the pan to remove any brown bits. Stir in the tomatoes. When the stock comes to a boil stir in Orzo Pasta, oregano, basil, Red chilli flakes, salt and pepper. Cover and let it cook for 10-12 minutes in the medium-low heat until Orzo is almost cooked. Stir in Spinach to the pot and let it cook for 2 minutes. Switch off the flame. Stir in half and half, grated parmesan cheese. It says 28 oz Tomato. Crushed, whole? Tomato soup? Really great soup! So much flavor! We loved it! Thank you for trying. Glad that you liked the soup. Do you think this would turn out OK with a different kind of pasta like shells or farfalle, if the cooking time is adjusted? It should work with any kind of pasta. You might have to adjust the amount of stock and cooking time. I would prefer shells or any other small sized pasta though. This sounds amazing. Do you think I could make it in the instant pot? This sounds amazing. Do you think it could be made in the instant pot? Instant Pot will definitely work. As I have not tried cooking Orzo I can not tell you exact timing or the amount of stock you would need for it. 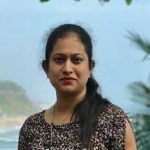 Would love to know if you tried in the Instant Pot. I just made it in the instant pot. I did high pressure for 15 minutes. Then added the cream, orzo, and spinach and did high pressure for 4 more minutes and it was perfect. This is probably my new favorite soup! How much salt and pepper do you add? It’s little difficult to tell. Amount of salt and pepper depends on your personal preferences. The sausage and stock already has salt in it. The amount of salt depends on the stock you use too. Because I use homemade stock,it’s less salty. So I add about 1/2- 1 teaspoon of salt.